Why Choose Kauai over the other Hawaiian Islands for your Vacation? 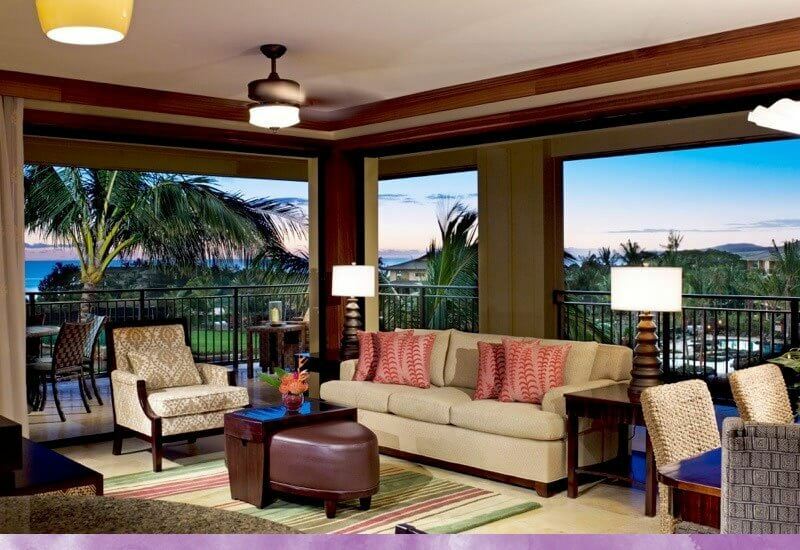 A trip to the Hawaiian Islands is a dream vacation for many individuals, couples and families. But when you’re in the planning process, which island should you visit? Here at Koloa Landing® Resort, located right on Poipu Beach, we of course know all of the benefits of choosing Kauai compared to the other islands. Here are just a few of the advantages and reasons to select Kauai for your trip to Hawaii. Compared to Maui, Oahu and the Big Island, Kauai is far less touristy. You won’t find the overcrowded mega-resorts, and in fact, building restrictions don’t even allow for hotels to reach more than a few stories in height. This offers a drastically different experience than what you’d find at some of the popular destinations on the coasts of the other islands. What you’ll find instead is a far more relaxed, natural environment. You’ll get to experience much more local culture and many more uncluttered sites and locales as compared to the other islands. Kauai is also smaller than the other islands, more rural, and has a smaller population. Once again, this serves to offer a more natural environment, with unmatched pristine beaches, mountains and more. The island of Oahu is actually only 35 square miles larger than Kauai, but yet its population is roughly 15 times greater, for comparison. Perhaps more than any of the other islands, Kauai is known for its natural beauty and its dramatic, beautiful sites. These include Waimea Canyon, the Coconut Coast and much more. You’ll find gorgeous mountains and waterfalls, white sand beaches, sugarcane fields, and beachside cliffs such as those on the Na Pali coast. There’s an unending array of activities on the island, including hiking and biking trails, exploring the many parks and beaches, water sports and on down the line. Of course, Poipu Beach is known across the world as one of the best beaches that can be found in any corner of the globe. Perhaps that makes us a bit biased here at Koloa Landing® Resort, but we know that a trip to Kauai will be a fantastic experience for anyone. And it doesn’t hurt that vacation prices on the island of Kauai tend to be more affordable than what you’d find at the more crowded destinations of Mauai, Oahu or the Big Island. For its unmatched natural sites and beautiful surroundings, for its less cluttered, less touristy resorts and escapes, and for its relaxed atmosphere, Kauai is a winning choice, and we hope to see you here and at Koloa Landing® Resort!